Scouring the market for a good deal is like the ‘Where’s Waldo?’ of real estate; it’s time consuming and sometimes impossible. However, following a few rules can simplify the process. Here’s how bargain buys can become part of your shopping routine. Find desperate vendors. This may sound basic, but the trick is knowing where to look. In Canada, much of the information used to find motivated vendors is protected by privacy laws. There is no master list of people to call or send postcards to. So where do you start? It all begins with your network. The first people to know about desperate vendors are often mortgage brokers, since the most common cause of an anxious seller is someone who has two mortgages on a property. The first is often a conventional mortgage from a Canadian bank. The second is typically a private mortgage with a much higher interest rate than the first. Another common type of motivated vendor is someone owning two properties but only living in one. They likely bought the second property because they didn’t want to miss out on their dream home and now are stuck paying two mortgages they can’t afford. High volume and established mortgage brokers are your point of leverage in locating a desperate vendor. You’re looking for the 20% of brokers that do 80% of the business. Instead of chasing endless ‘hot tips,’ build a few solid relationships with brokers. When they come across desperate vendors, you want them to think of you. Don’t just call or email a list of brokers hoping they’ll remember you. High-volume mortgage brokers are inundated with incoming calls and emails. You need to stand out from the crowd. Send a package in the mail to them with some goodies and your card. Include a letter explaining who you are and why you can act quickly if a motivated vendor comes their way. A small box of chocolates shared in the office or a gift card is enough for anyone to remember you. Other points of leverage for you in your network include: realtors, local bank managers, lawyers who specialize in real estate and property managers. Check your fundamentals early so you can act fast. Real estate investing is a business, and like any business there are some basic fundamentals you need to check. Do you want to invest in an area with a decreasing population and a loss of jobs? Probably not. A deal in the wrong part of town can be a money pit. Instead, find communities near you with increasing population, diversified employment and new transportation and infrastructure projects. These factors will often lead to increased demand for real estate, and being familiar with these trends will allow you to pinpoint your search. By knowing the communities you want to invest beforehand, you can focus your efforts and jump on an opportunity quickly. Statistics Canada Census reports (www.statcan.gc.ca) provide population and demographic data for free, and are great for sourcing this type of information. You will find how many people are entering Canada and where they are moving to. City planning and economic development departments are also valuable sources of free information. Local real estate investment groups will often have this data summarized for you. Consider properties that have been sitting on the market. This helps eliminate competition and uncovers motivated vendors. Let’s say you’ve decided you want to invest in a three-bedroom townhouse in Mississauga, Ont. Work with a local real estate broker to find the average sale price of three-bedroom townhouses over the past 12 months. Next, ask for the average number of days this type of property typically sits on the market. For example, the information may show you that townhouses in Mississauga are on the market for 42 days. With this you can narrow your search to homes that have been on the market for 42 days or longer. The vendor in this situation is usually starting to worry, asking themselves if their home will ever sell. Homes that have been on the market have become ‘stale’ in the eyes of local Realtors and Buyers. Not only have you found a motivated vendor but you have likely also found a motivated Realtor. If their contract to sell the home is about to expire they may be looking to settle for a smaller commission in order to make the sale. You can begin looking for these yourself using www.Realtor.ca . Have your financing ready to go. Mortgage programs are constantly changing. Don’t assume that because you make a good income you can qualify for another mortgage. Also, don’t assume that because you were pre-qualified six months ago that things haven’t changed. Some Canadian financial institutions have begun asking for T1 General forms along with your Notice of Assessments so they have all your income details. Get all your papers in order. Catch up on any late income tax filings. A mortgage broker may be able to get you pre-approved based on a letter of employment, but the final mortgage documents may have very specific requirements for items like tax assessments, bank statements and proof that old debts have been paid. If you are self-employed, expect even more hoops to jump through. Ignoring these details upfront may allow your ‘once in a lifetime opportunity’ to slip through your fingers. You can get up to speed on many of the mortgage programs available to homeowners and investors by visiting CMHC’s website: www.cmhc-schl.gc.ca . Use your local knowledge to your advantage. If you happen to live in a community that meets your investing criteria, use your local understanding of the area to find opportunities. For example, keep an eye out for vacant homes. Start driving a different way to work every day. Explore streets and neighborhoods that are close by, but that you’ve ignored. You’ll be surprised at what you may find. A vacant home is a big liability to whoever owns it. They have mortgage payments, property taxes, insurance, utilities and maintenance to worry about. A low offer that they would have refused when the property was first listed may be accepted immediately a few months later. Power of Sale and Foreclosure properties. These are often the first words spoken by someone looking for a good deal. In many parts of Canada, banks must attempt to sell these properties at true market value, so they aren’t always available at deep discounts. However, financial institutions don’t want to be in the real estate business. Make a low offer because you never know what they will be willing to accept. The key to getting the absolute lowest price on these opportunities is being able to close quickly so the bank can get the property off its books. Because so many people focus on them, these properties often get a lot of competition. It’s easy to get emotionally caught up in the process with other buyers hovering around a property. Don’t end up overpaying; stay level headed and stick to your plan. 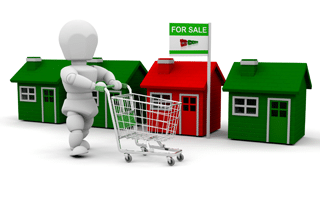 Ontario, Newfoundland, Prince Edward Island and New Brunswick use the Power of Sale process. All other provinces use the Judicial Proceeding or Foreclosure process. Sharpen your negotiation skills. Sometimes the best bargain is the one you create yourself while negotiating a purchase. For example, negotiating an extra 3% off of a $400,000 property amounts to $12,000 in savings. You want to get as much information as possible on the vendor’s situation. If you’re not working with a Realtor, you can use public land title records to find out property details. And remember – whoever says a number first usually loses. If you are working directly with the vendor, never name a price because they may be willing to sell the home to you for less. Timing is important as well. Does the vendor need to sell quickly or do they need a very specific closing date? If you can offer something to them that others can’t, you should be able to get a price reduction in return. Never give something without negotiating something else in return. Spread the word. You need to let the world, or a least your community know that you exist. Use free online classified sites such as kijiji.com and craigslist.com to get your name out. Run classified ads letting people know that you’re willing to buy their property quickly. Having your own website is great but without advertising no one will find you. Consistency is key, since running ads for a short period at a time won’t do the trick. Also, don’t focus on ‘fool’s gold.’ Just because someone calls you and sounds desperate doesn’t mean you’ve found a deal. Have a property scorecard ready so that you can remove emotions and use a system for deciding if a good opportunity exists. Be upfront and quick to respond to people, and don’t lead anyone on. This approach requires time and energy but you will be surprised at how quickly desperate vendors will start popping up. Farm an area so that you know your numbers. Don’t spread yourself too thin by chasing opportunities all over the country. By becoming a specialist in one community, you will quickly learn what makes a good opportunity. After a short time you’ll know a good price for a property even before it gets listed. Realtors have made careers by finding areas through consistent advertising and intimate knowledge. Once the word gets out to the local real estate community that you are a person of integrity, the phone will start ringing. Have thick skin. If you don’t feel embarrassed at the price you are offering for a property then you’re not going low enough. The old saying holds true, ‘You won’t know unless you ask.’ You will have to deal with all types of emotional responses to your lowball offers, but what do you have to lose? Some of the biggest fortunes in the world are made by investors scooping up properties for ridiculously low prices. Tom & Nick Karadza are co-founders of Rock Star Real Estate Inc., a real estate Brokerage in Burlington, Ont. Alpine Credits can help you get approved quickly for a home equity loan. If you own your home, you can apply in two simple ways: complete our online application or speak to one of our lending specialists at 1-800-587-2161. Our lending specialists will work with you to understand your situation and recommend the best loan structure for your needs.